Finding the perfect college for you means having access to a robust set of search tools, rankings, charts, data, accredited colleges, online schools, and degree programs. These tools will enable you to align your priorities with school offerings and make a great decision for your future. At MatchCollege, we provide access to thousands of accredited colleges and universities near you and around the country along with their respective degree programs and online degree pathways. These valuable college tools allow working professionals and prospective college students to gather information to properly evaluate and compare accredited schools through information on admissions, tuition, financial aid opportunities, housing, rankings, and more. Our team works tirelessly to ensure information is easily accessible and useful by presenting it in a concise yet comprehensive way. Thank you for allowing us to help you start planning for your future through the power of education today! In terms of breadth and depth, MatchCollege offers you free, unlimited access to nearly 8,000 accredited colleges and universities from around the United States. Unlike any other website, we go deeper to provide you with access into college degree programs by university or college. In real terms, there are nearly three-quarters of a million degree programs to explore using our data and tools. With the vast number of options, many MatchCollege fans choose to utilize our proprietary matching tool for traditional classroom-based programs and our online matching tool here as a starting point in their college journey. By helping millions of prospective college students each year, we have the benefit of being objective. Our goal is to provide you with objective information about a college or university along with ready access to contact schools to get more information about their respective degree programs. When our goals align with your goals, we can help you move confidently in the direction you desire given your set of priorities and vocational objectives. The quality of school information is second to none with MatchCollege. Our team works diligently to keep the information up-to-date and relevant to help you reach your educational objectives and career goals. By staying on top of trends and relevant changes in the higher education industry, you get the benefit of our decades of collective professional expertise. State – By organizing colleges and universities by state, you can rapidly narrow down options by geographic location. In other words, if you live in New York and want to study in the State of New York you would simply sort by higher education institutions in your state of residence and narrow down your options from that point. 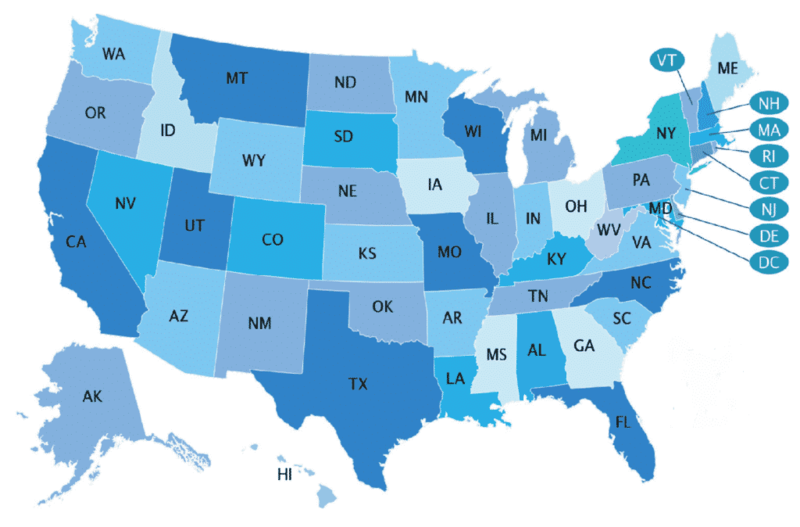 The state filters across the United States provide college seekers of all ages an intuitive means to locate a set of schools bound by a set of geographic borders. Degree – We have established a college degree organization structure to allow ready access to college degrees and certificate programs. If you are a student or professional looking to rapidly learn about educational tracks within a defined discipline of study, you can simply sort by degree. The ability to sift by degree program coupled with a list of the 200 Most Popular College Degrees can be a useful starting point for anyone looking to earn a college degree. Career Type – If you happen to be passionate about a career area or type of career pathway, we have clustered programs in that fashion as well. More specifically, if you are interested in pursuing a career in business but do not know which discipline makes the most sense for you then sorting by career type is for you. Likewise, having a desire to become a nurse yet unclear on the pathways to a career in nursing prompts many to start searching for a degree by career clusters. By visiting our career type portal, you can sort for a college or college degree by state and career type here. Accredited Online Colleges – The proliferation of online college programs is evident across the country. In fact, online learning is the fastest growing segment within higher education. The reasons for the rapid ascent of online classes and online college degrees include the flexibility of earning a degree online, targeted learning for students towards degree completion, the quality of accredited online degrees, and the benefit of a granular career focus depending on the degree track. Online Degrees – Much like the organization of traditional college classroom programing, this section of the website focuses just on degree programs that can be taken online. With the dizzying number of colleges offering online degree tracks, we have created a means to search and sort by degree to help expedite your search. In this section, simply select the program of interest from the drop-down menu to learn more about specific college programs of interest. Detailed by school: School specific information to easily digest during your decision-making process. The totality of the information is often enough for interested students to simply request information about the program on the spot while others perform weeks of research through MatchCollege before reaching out to the colleges through our service. Degree-level information: As an added bonus to the hundreds of degree-specific pages curated by MatchCollege, we also have degree programs listed for each school. Some accredited colleges offer dozens and dozens of degree tracks while other schools are very narrowly focused in the curricular design. In a glance with MatchCollege, you can easily see the programs offered and determine if further research is needed. Free access to each school in one place: The crux of our service is a digitized college directory. Having access to each school in one place is an amazing tool that is used by millions of college-seekers each year. Our goal is to increase our reach and impact as more and more prospective students look to add vital skills and knowledge to their tool box. Unlike many other services that charge a hefty fee for such information, MatchCollege offers free access to users 24/7. We also provide a robust list of accredited schools from across the nation to give you the best tools possible. Enrollment: For many prospective college students, understanding the campus prior to a school visit is important. For this reason, we have added enrollment information about the schools when available. Understanding the student body is an appealing factor for many students who look to match the size of a school with their personal proclivities. For example, a student looking for small classroom ratios and small classes may thrive at a smaller college or university while another student prefers the hustle and bustle of a large state university. Athletic Programs: We also provide a list of intercollegiate athletics for colleges and universities. As the information is available, we detail the type of athletic program along with the conference the school is associated with by sport. Whether you are a college-level athlete or an avid sports fan, understanding the school’s athletic offerings may be a factor in deciding upon a specific school. Financial Aid: One of the most critical components of the overall college equation is the cost. The tuition and fees a school charges less financial aid is the math equation that propels or hinders students from attending college. In the school’s page, we have listed the financial aid information available through the United States Department of Education that may include the percentage of students receiving financial aid, student loans, scholarships and grants plus award averages. Video Campus Tour: We have assembled hundreds of video tours of college campus’ across the website to help students see the campus before visiting. For an example of a video campus tour, check out the video on the left-rail for ASU. A video tour is no replacement for an actual college visit but is a great proxy. We receive hundreds of notes a year from college applicants thanking us for having the videos available during their decision making process. Map with Walk Score, Transit Score, Bike Score: One of our newest features on MatchCollege is the Walk Score. If you are not familiar with a Walk Score, it is simply a rating system of the most walkable areas around the nation. We have utilized the data to provide a rating system for the most walkable colleges. Where available, data is also available for Transit Score and Bike Score. Much like the Walk Score, the Transit Score and Bike Score is a point system (0 to 100 with 100 being the best) detailing the college campus with the best public transit system and most bike friendly, respectively. Access these scores for each college by simply clicking on the red pin on the map. Nearby Colleges: Lastly, we have included a list of nearby colleges for each college page. We have found this a quick, easy way for college seekers to understand the colleges and universities in close proximity. It can be used to perform research on colleges for you or determine how close you may be to a neighboring university. We continue to hear amazing feedback from students across the country thanking us for the objective information about colleges and university programs. Our mission is to help millions of students each year as the higher education industry continues to flourish and prepare minds for their respective careers. When Should I Start Planning for College? How to Prepare for College after Losing a Job? How to prepare for the TOEFL for non-English Speaking Students? What Options are Available for Homeschooled Students? College Resources for Students with an IEP or 504 Plan? Only with MatchCollege, we provide hundreds and hundreds of degree specific programs for you to explore. Not sure where to begin in your college search? Start with a search by career cluster, degree program, geography, career type, school type, financial aid, enrollment, athletic programs, scholarships awarded, Walk Score, or nearby programs. You can start your college search by asking friends, family, or school counselors about programs that may be of interest to you. The goal of reducing the cost of college is at the top of every student’s list. 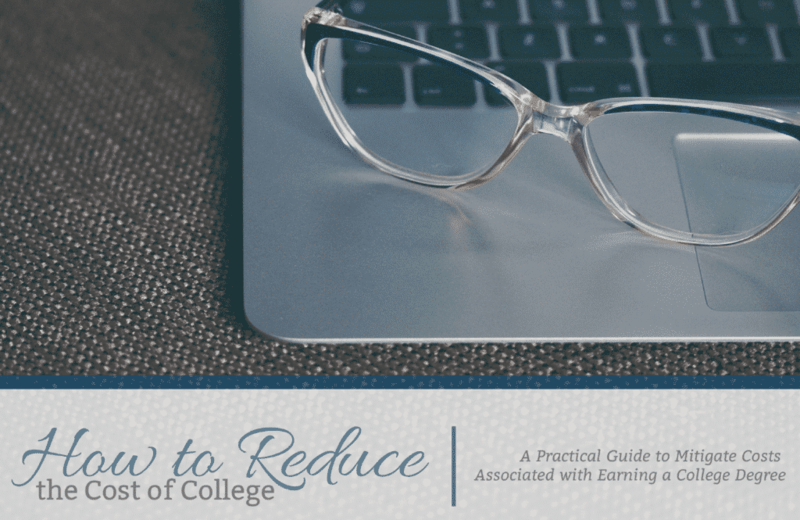 In this eBook, we detail out ideas and techniques to help you minimize your costs while maximizing your investment in college. Take the time to read this guide carefully and apply the principles wisely to make the most of your time in college. 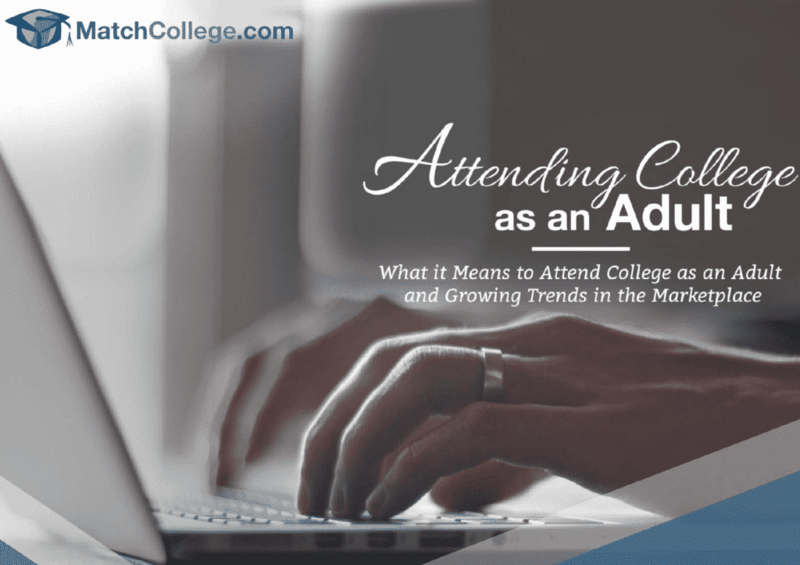 Our goal of creating this eBook was to help adults attending college for the first time or adults returning to college. As the fastest growing segment of enrolled students in college, adults learners continue to utilize college to upskill, obtain certifications, and improving earning power. Harness the power of education by getting the facts in our eBook and understanding the important demographic shifts taking place in our country. 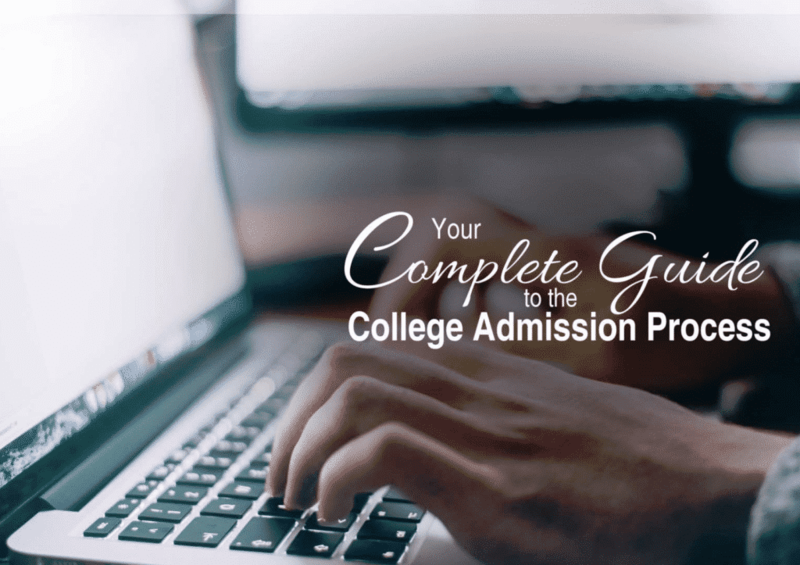 The Complete College Admissions Guide for Students and Parents. Hands down, the most comprehensive guide to college admissions. From understanding the college admissions process to gaining admissions to a college in the United States, this book has it all. Download our guide for free and make the most of your college experience by using our guide. Getting into your top college choice may not be easy but rarely are easy things worthwhile in life. Read our road map for success and navigate the college admissions process prudently to gain admissions to the college of your choice. 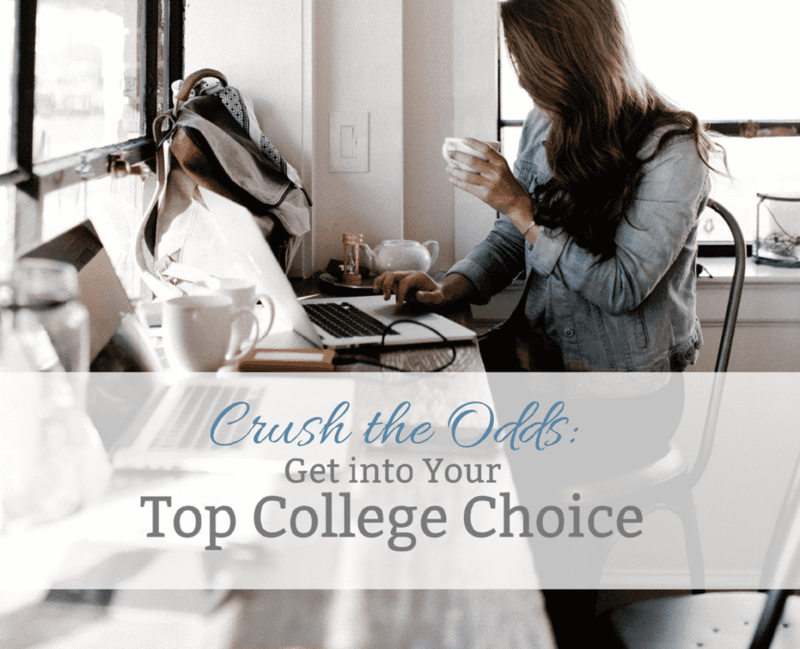 With decades of experience packed into this eBook, take advantage of the facts about college admissions to crush the odds. Data: Labor Force Participation Rate for 25-64 year-olds with a high school diploma is 68% versus 86% for those with a bachelors degree. Bottom Line: The greater level of education the greater number employed. Definition: The percentage of people not currently employed and have met qualifications during previous four week period. Data: Unemployment data reveals a 9% unemployment rate for 25-64 year-olds with no high school diploma compared to a 2% rate of unemployment for those holding a bachelor’s degree. Bottom Line: The higher level of education leads to greater levels of employment. Definition: The percentage of the population that is employed. Data: Group 25-34 years of age with at least a bachelor’s degree had an 85% employment rate versus 57% for those without a high school diploma. Bottom Line: The percentage of those with a bachelor’s degree correlates to significantly higher levels of employment. Definition: Monies obtained in return for labor or services. Data: Both men and women with a bachelor’s degree earned 67% more than their counterparts with a high school diploma. Bottom Line: Greater education leads to statistically significant income gains. In summary, the benefits of earning a college degree supported by data include higher wages, greater levels of employment, higher percentage of employment, and a significantly higher degree of employment stability. You are unique. There is no one like you in the world. Leverage your passion, your skills, and your knowledge to find the best fit for your career through education. Start learning more today by investing time with MatchCollege. As you learn more about classroom based college programs and online college degrees, you will determine the best fit for you. Your unique voice, communication style, and learning style will naturally lead you to a great fit and a fulfilling career. Start by exploring the Most Popular College Degrees then to Largest Colleges & Universities before diving into state-specific or career types. Once you have an idea of what you would like to learn about, the degree program you are interested in pursuing, and the geographical area then Get Matched to online college programs, hybrid (online and classroom) programs, or classroom based programs. Here are a few of the most popular degree profiles we feature on our site!